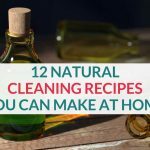 Cleaning is something we all have to do, no matter how hard we try to avoid it. When you live in a small space, keeping a clean home is even more important because clutter and mess are amplified in small spaces. 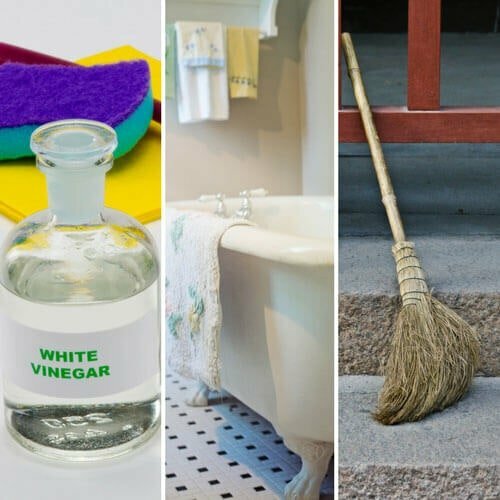 These hacks will help you cut down your cleaning time, and leave your home looking and smelling fresh and clean. This is a great option for cleaning lamp shades, speakers, and other items that collect dust and don’t clean well with just a towel. Roll the tape up so sticky side is out and run along the item. Or use a lint roller like you would on your clothes. Take a broom and secure a rag around the bristle portion. Then use this to reach those high places that are hard to reach on your walls that have collected webs and dust! Great for getting those high up spots we forget. Grab a pillowcase and with the fan off, place the pillowcase on one of the leaves. Make sure the pillowcase is able to catch anything that may drop like dust bunnies. Repeat process for each fan leaf. It will save all the dust falling to the floor. Just shake out the pillowcase when done and wash like you normally would. 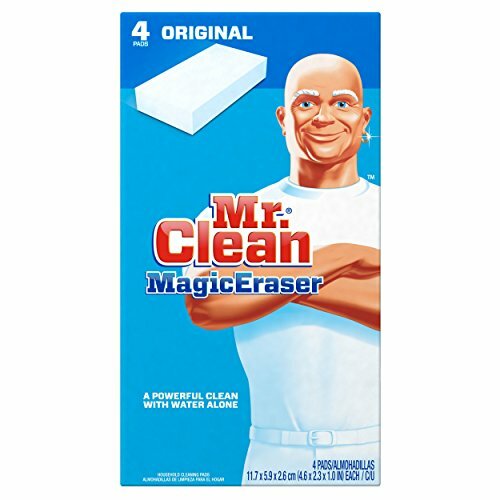 At bedtime cut off a small piece of a Magic Eraser and toss into the toilet. It will work through the night at breaking down toilet bowl rings and will dissolve by morning. Another option for cleaning your toilet is blue Gatorade. Pour a bottle in and let it stand for an hour or so, it will eat away any rust or scales. Remove all bedding and sprinkle baking soda over the mattress. Let this stand for an hour, and then come back and vacuum up the baking soda. This will help freshen and deodorize your mattress. Grab a Magic Eraser and the crayons will come right off! Sprinkle coarse salt on a wet cutting board. Then slice a lemon in half and use that to scrub on the board. 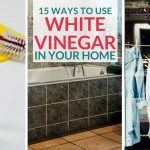 This will clean your board good and help remove and odors from foods. Take a pair of tongs and wrap a microfiber cloth around each tong. Spray cleaner on it and use that to clean each part of the blind. Takes a little time but really cleans them well. You can also toss your blinds in the bathtub and let them soak and wash them that way, it can get a little messy! This is a miracle cleaner. In a spray bottle mix ½ blue Dawn dish soap and ½ white Distilled vinegar. Shake well and then spray in bath and shower. Let stand 15 minutes then scrub clean! Use white chalk to help draw out fresh grease stains. Just mark over the grease are with chalk, let it stand 30 minutes then wash per usual. Air dry to ensure stain is gone, if not repeat. Don’t dry in the dryer as it will set the stain into the clothes. Now, this needs to be tested, as there are different types of microfiber. But you can use rubbing alcohol to remove stains from microfiber. Pour the rubbing alcohol into a spray bottle. Spray on furniture than with a stiff brush, work in circular motions to pull out the stain. Let air dry and then run hands over the area to help soften the microfiber up again. Remove water spots and fingerprints with olive oil. Apply a nickel size amount of olive oil on a paper towel, work with the grain, left to right. Wipe down the whole appliance. Then take a microfiber cloth and buff it really well to remove any oil and help make it shine! Take a resealable bag and place it over your shower head. Then pour some white vinegar in and seal the bag on the shower head with clips. Let this sit for an hour or more, it will break down any scale or lime. Then remove the bag and run water and your shower head will be as good as new. Take a squeegee and run it over your carpet, rug or furniture to pull up pet hair! Works great at getting that hair unstuck!